The Walero “Keep Your Cool” flame retardant racing top is a high-quality addition to any racing driver’s kit bag. The fireproof top gives you the most technologically advanced thermos-regulating racing underwear available – meaning that you stay cool when you need to. The Walero racing top has been tailored for an excellent fit with flat seams and an extremely soft fabric to ensure the driver stays comfortable when in car. 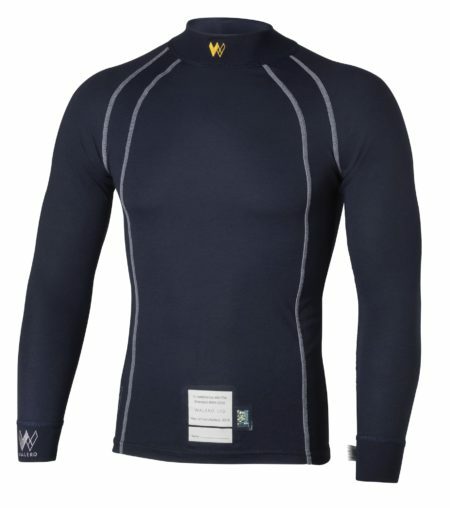 The male and female Walero tops have been designed independantly to ensure the best fit for both sexes. The thermo-regulating technology has been proven to effectively reduce perspiration by upto 33%. This fire retardant top has also been treated with Fantex, meaning that its hospital grade antimicrobial protection is 99.999% effective against bacteria and viruses. All of Walero’s products have been tested and approved to FIA 8856-2000 and SFI 3.3, ensuring they’re fully flame-retardant and ready for racing anywhere in the world. 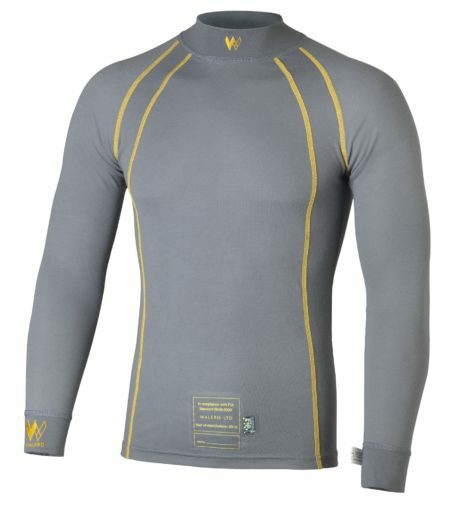 The top is available in Cool Grey or Petroleum colours and in a range of sizes from extra small to triple-XL.